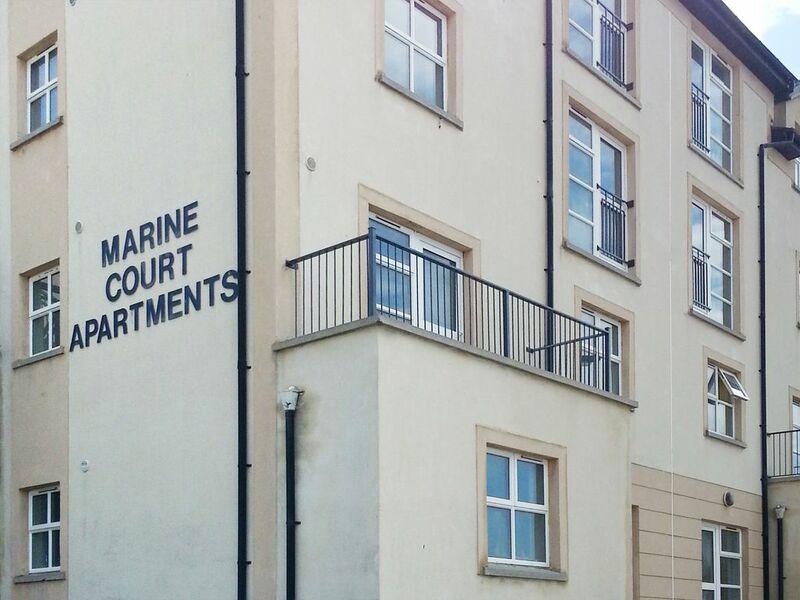 This is one of four first floor holiday apartments situated in the heart of Bundoran. This popular seaside resort town is situated between Sligo and Donegal on the Wild Atlantic Way. The apartment is overlooking the sea and is tastefully furnished. There is no lift so may not be suitable for those with limited mobility however on your doorstep you are within strolling distance of the shops and pubs. A short walk takes you to the beach and 18 hole links golf course. There is plenty to do from the aquadome and cinema to the Donegal Adventure Centre offering surf and kayak lessons, Climbing, Abseiling, Orienteering with local Hill walking. This is a wonderful family destination.Shop. Pub. Restaurant 880 yards. Beach 550 yards. FF: lounge/kitchen/diner, double, triple, bathroom with shower over bath.Electricity charged at EUR7 per day, linen and towels included, travel cot, high chair, TV, radio, fridge/freezer, microwave, w/machine, off road parking. One pet welcome.